Last year, I got called out on Instagram for a Top Five Challenge. 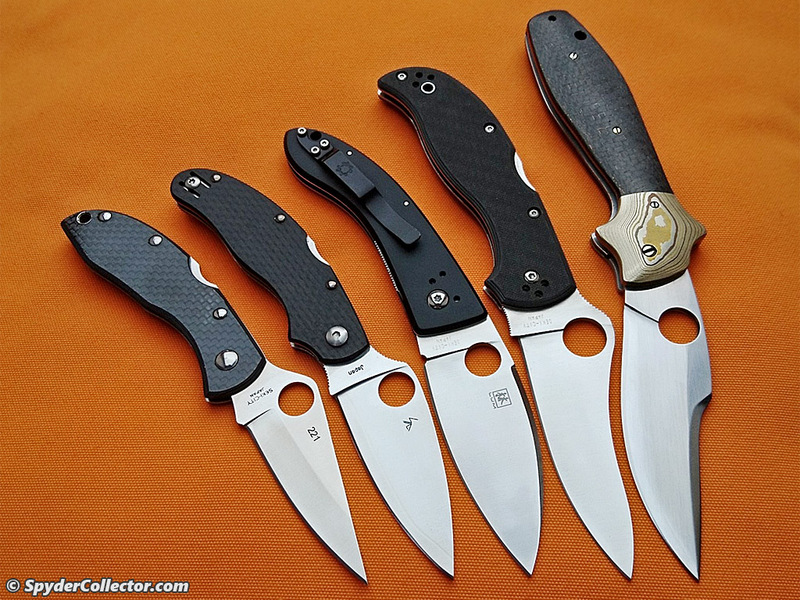 The point of this challenge is to show the five favorite knives in your collection. I’m sure I’m not alone when I say this kind of challenge is not easy! 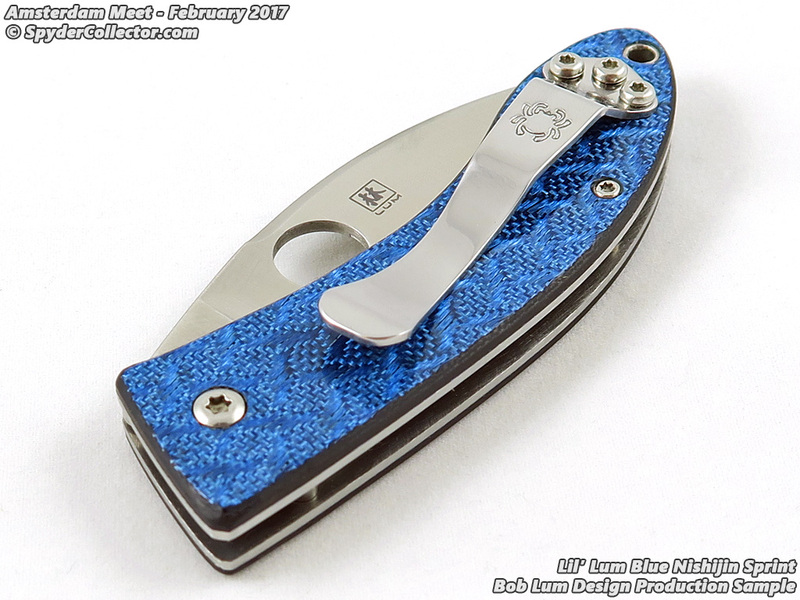 I went at it from the angle of ‘my top five most used EDC folders’. 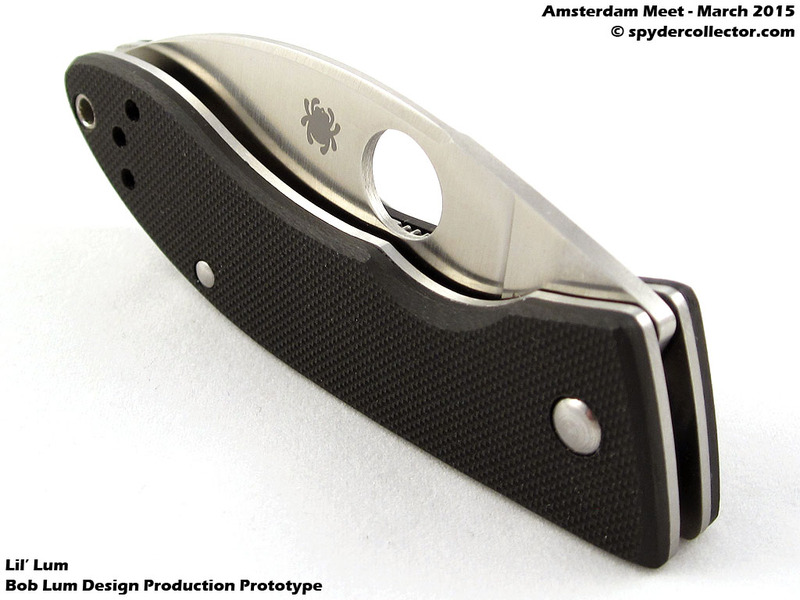 No surprise, they’re (almost) all Spyderco knives. 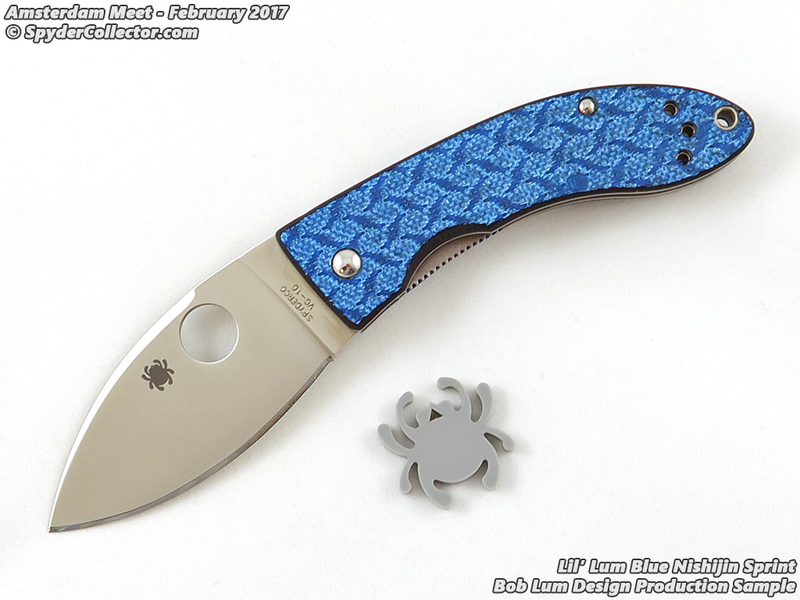 The Spyderco Delica is one of the first knives I got, which taught me that great performance can be had in an affordable package. 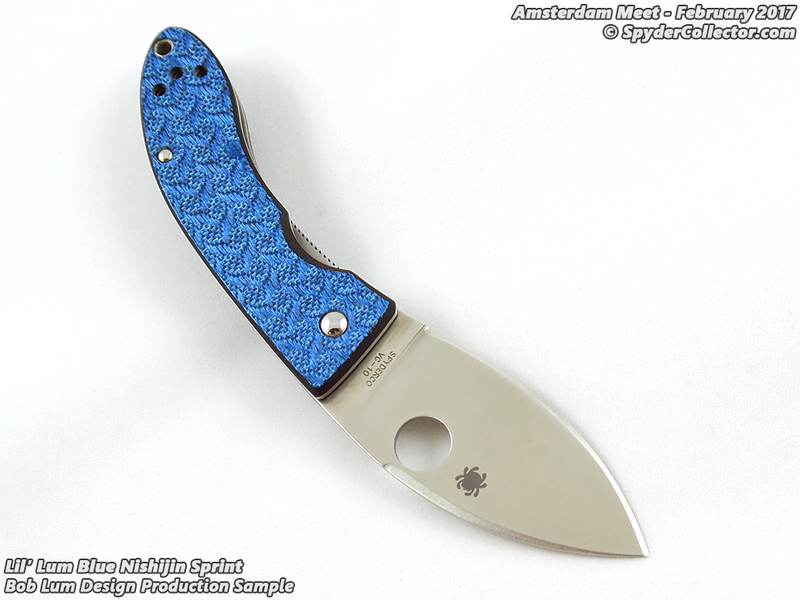 I have a bunch of Delicas and this older left-handed Delica 3 CF sprint run is a very refined representation of the design. 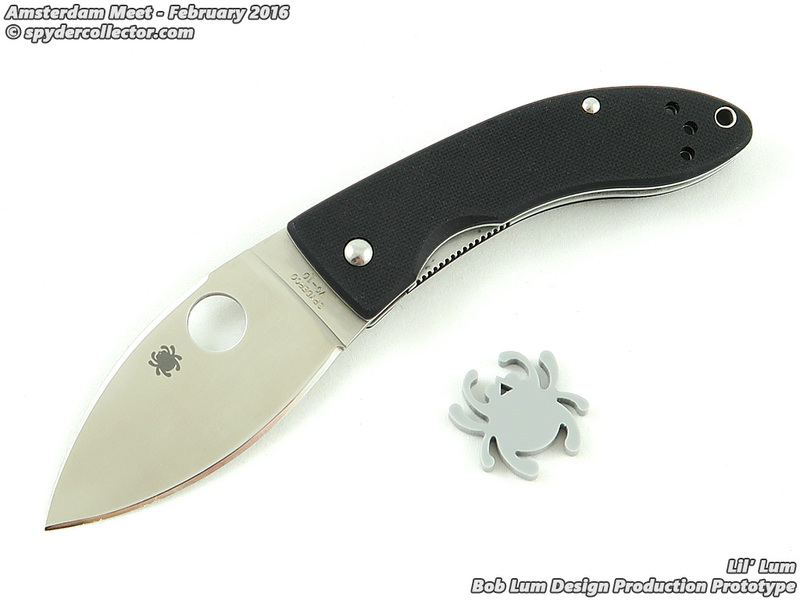 While the Spyderco Military introduced me to the full flat grind back in the day, my Calypso Jr. was probably carried and used more, because of its size. I used the heck out my Calypso Jr. since I only had like five spydies at the time. If only I got called out for a #topfivechallenge then, it would’ve been very easy! 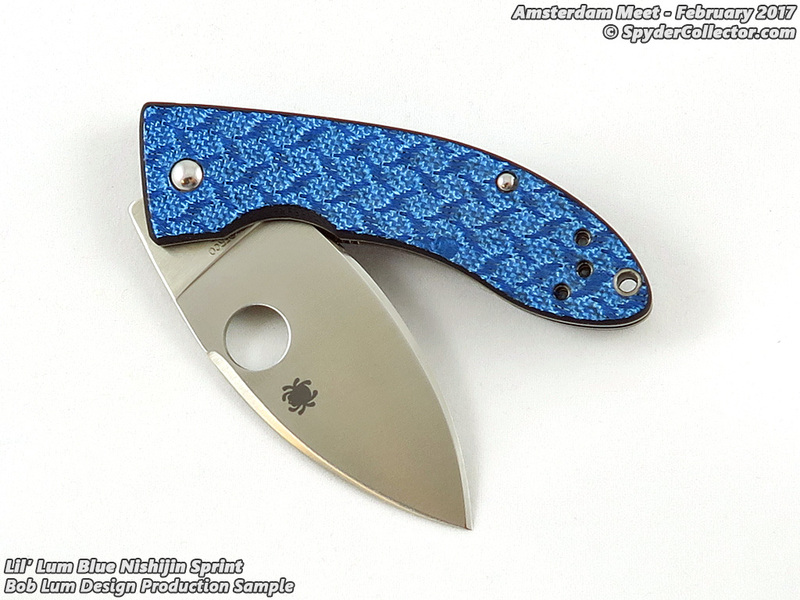 I’m hooked on the Calypso pattern and like the upgrade into the Caly 3 design. I have picked up quite a few variations over the years. 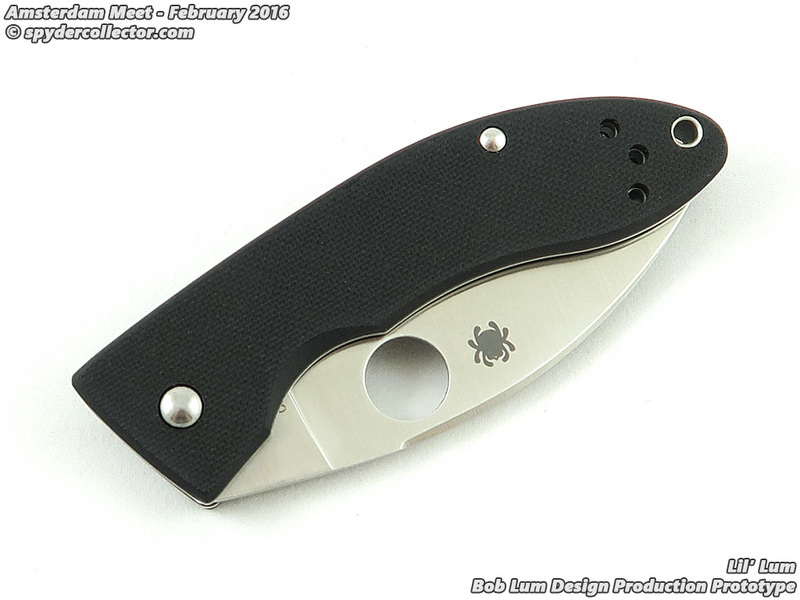 This Caly 3 with a ZDP-189 laminated blade and carbon fiber handle is one of my current favorites. 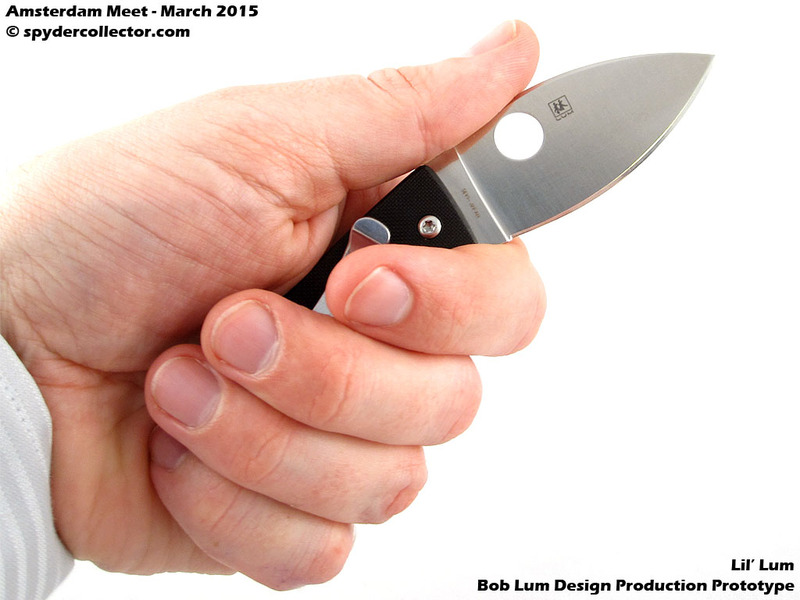 The Lum Chinese Folder is an amazingly stylish looking folder that doesn’t sacrifice much in utility value. 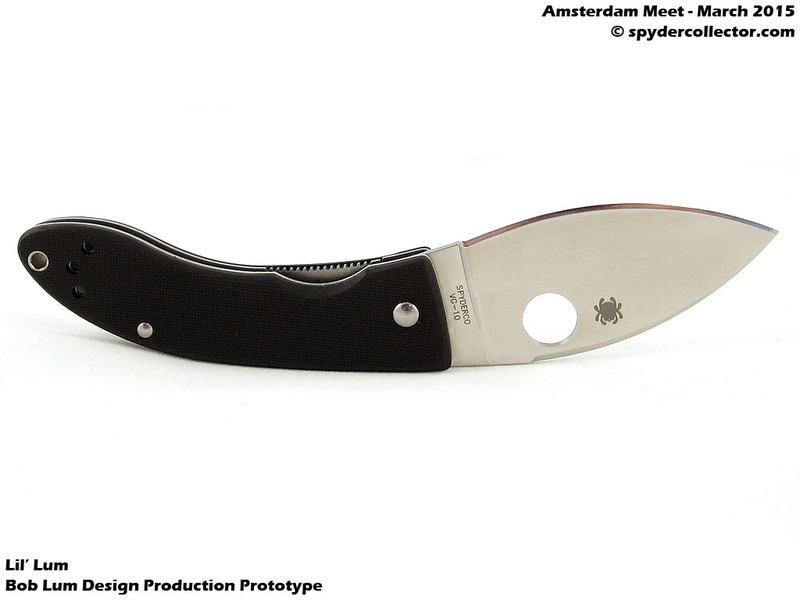 It is perhaps the start of Spyderco’s series of ethnic folders. 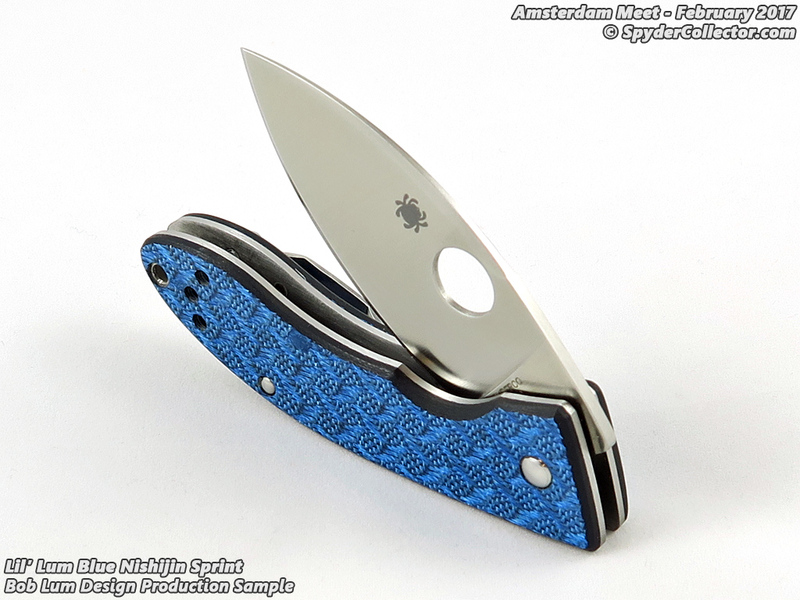 For me, the Chinese Folder is proof that knives can be useful AND pretty! 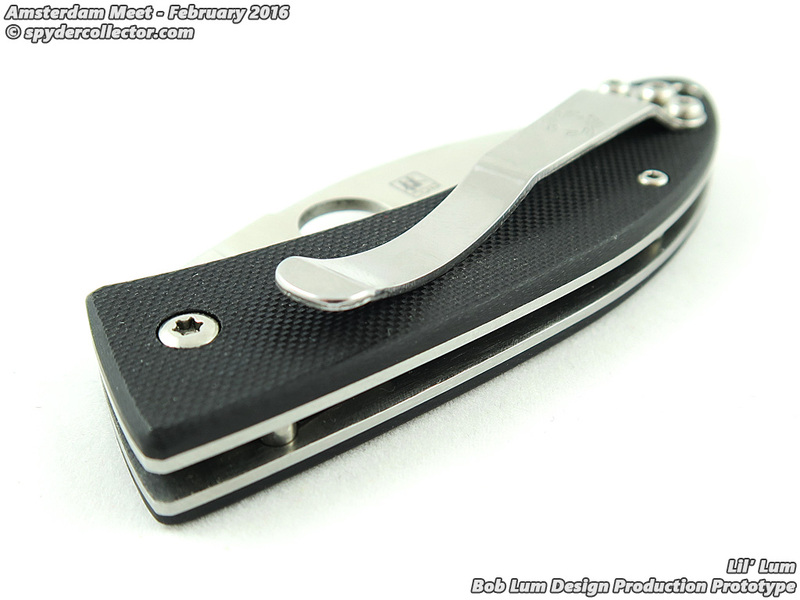 This sample was a distributor exclusive I think, and it features a full ZDP189 blade and black almite handle scales. 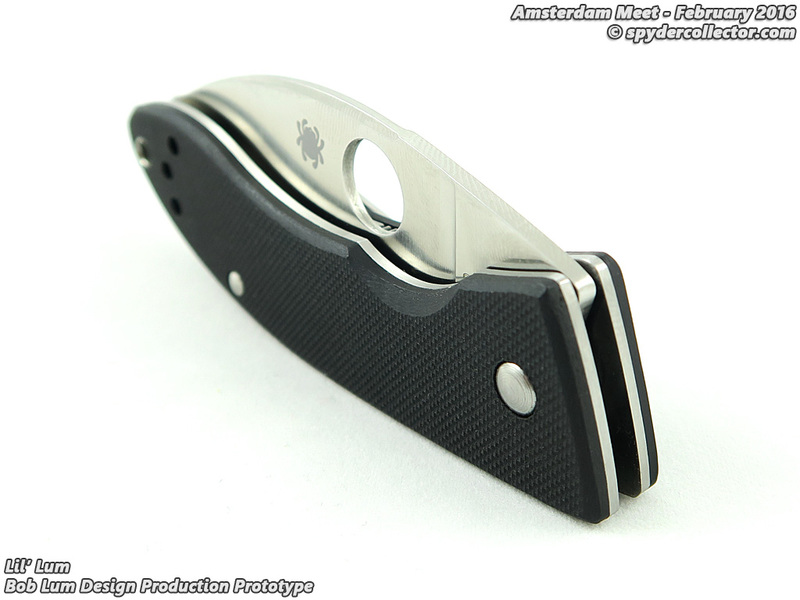 The Stretch is my all-time favorite utility folder by Spyderco, period. 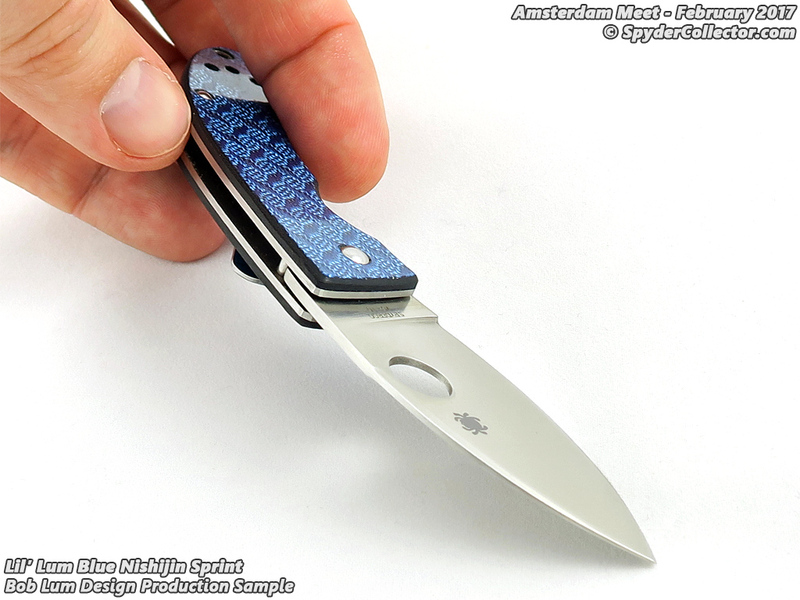 It’s got everything I like: right size, full flat grind, spot on ergonomics and it is 100% lefty compatible. It’s big enough to tackle any reasonable chore I have encountered over the years, and its profile is still compact and ‘social’ enough to carry almost anywhere. 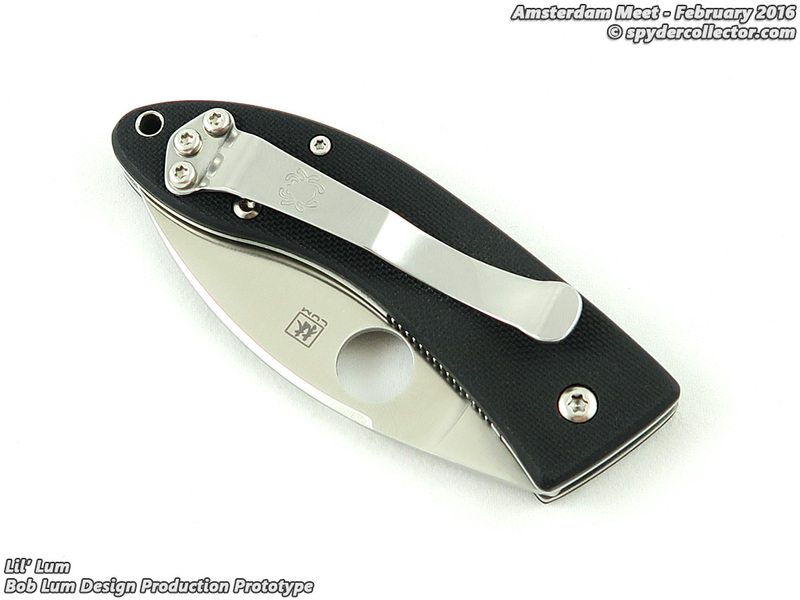 The second generation of the Stetch, the Stretch 2, is OK but I prefer the original. 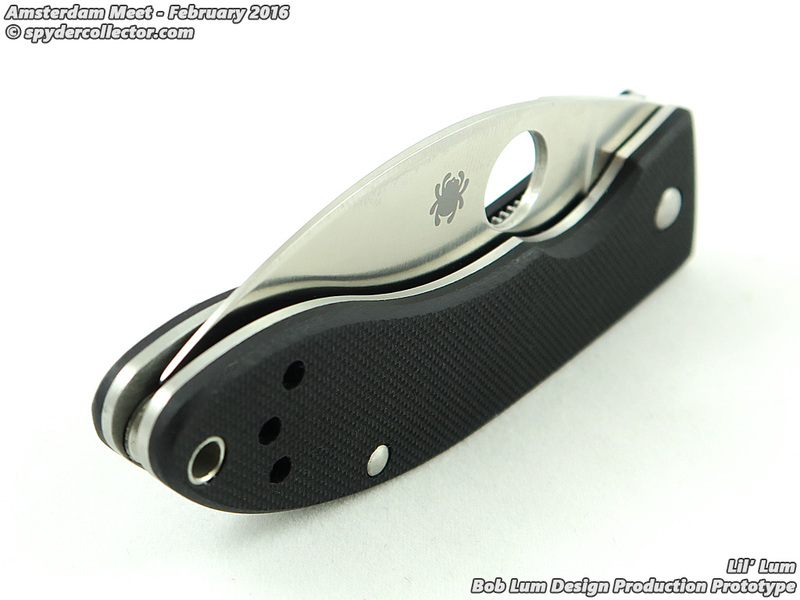 This Stretch with a full ZDP189 blade and peel-ply carbon fiber handle is my favorite of the line. I consider this Sal’s best design to date. 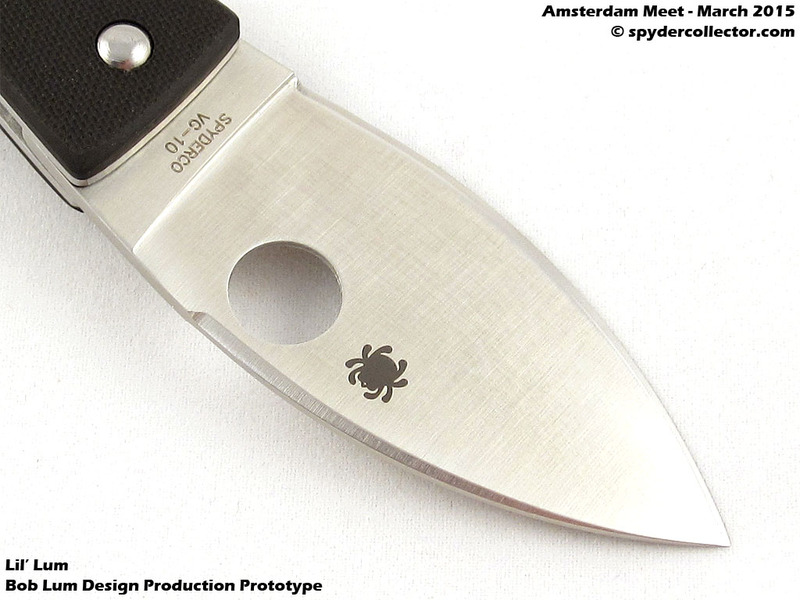 This custom version of the Spyderco Schempp Bowie is the crown jewel in my collection. 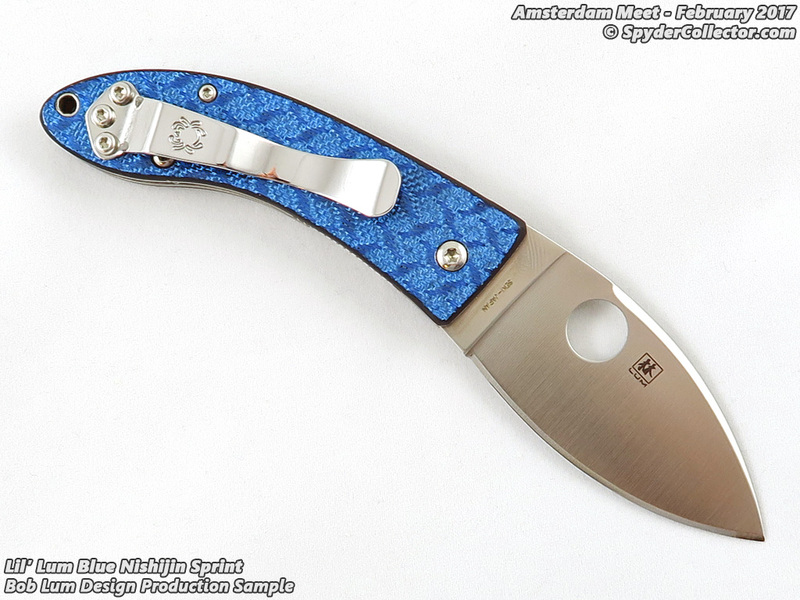 It is a recent acquisition and my first true custom knife. 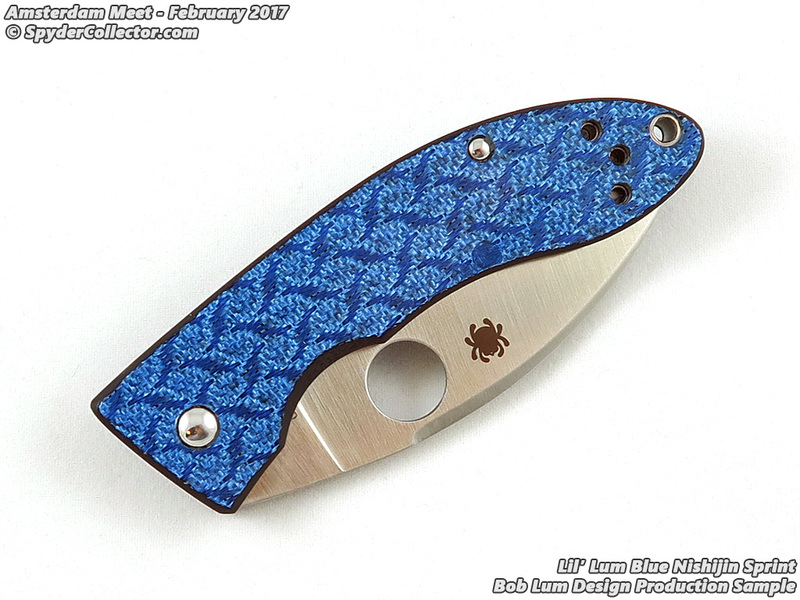 Ed made it to my personal preferences: left-handed, lightning strike carbon fiber handle, mokume bolster, cladded CPM154/S90V steel blade, and a pocket clip. The pinnacle of my collection! 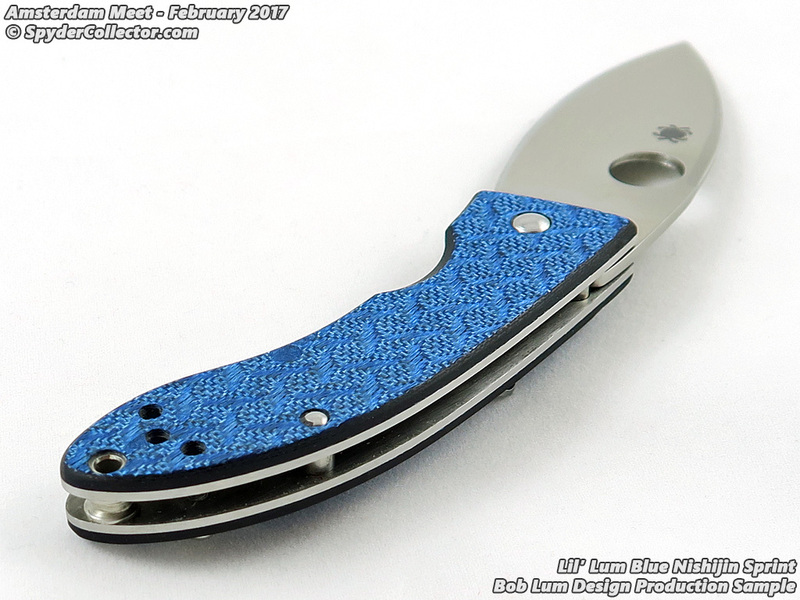 The Lil’ Lum sprint run with blue nishijin was one of my favorite knives at the meet. 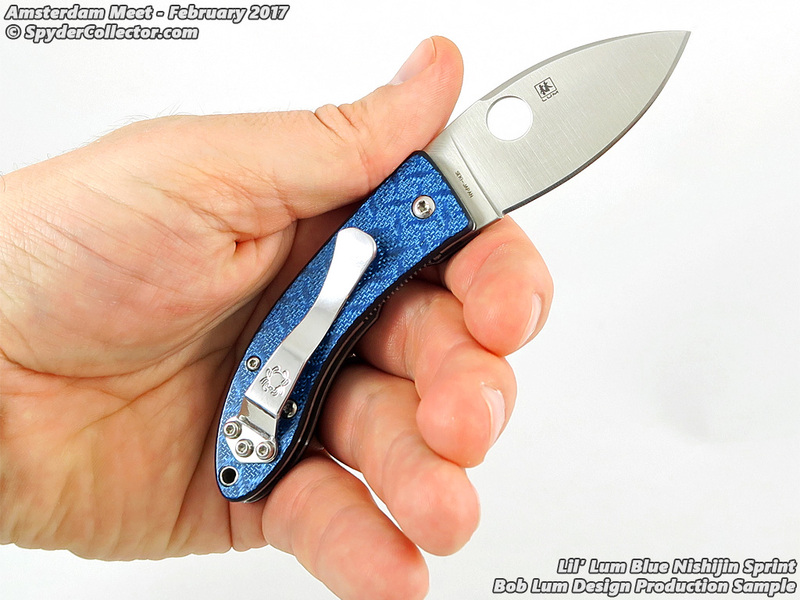 The Chinese Folder design is one my longtime favorites in the Spyderco line-up and this small Lum is a really nice gent’s knife that’s even passably lefty-friendly. 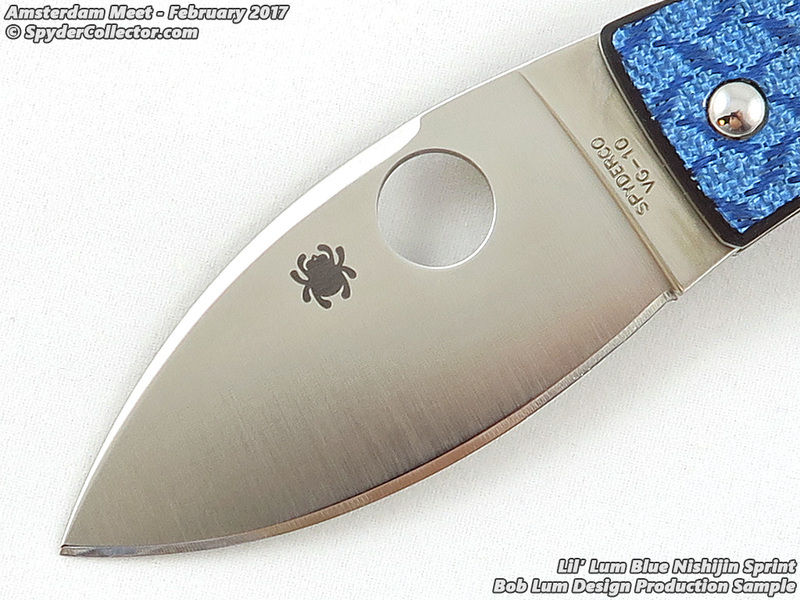 The blue nishijin is a nice accent for a gent’s knife like this. 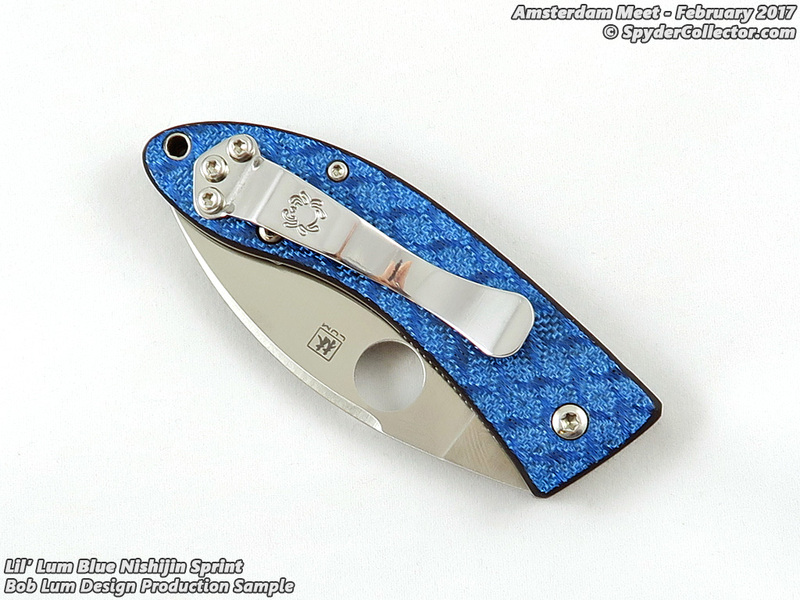 I’m happy to note that, as I write this, I already got my own blue nishijin Lil’ Lum. So this one can be crossed off the wish list! 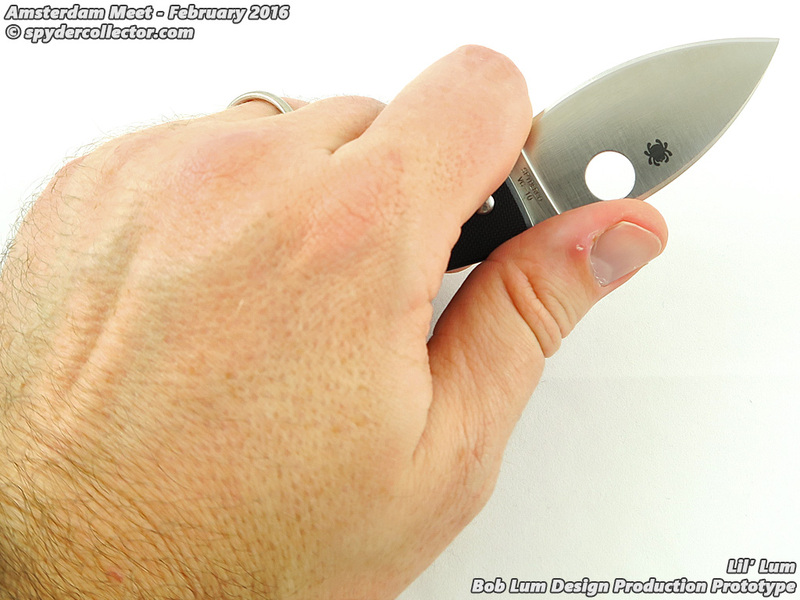 Click here for a more detailed look at the Spyderco Bob Lum Lil’ Lum production sample. 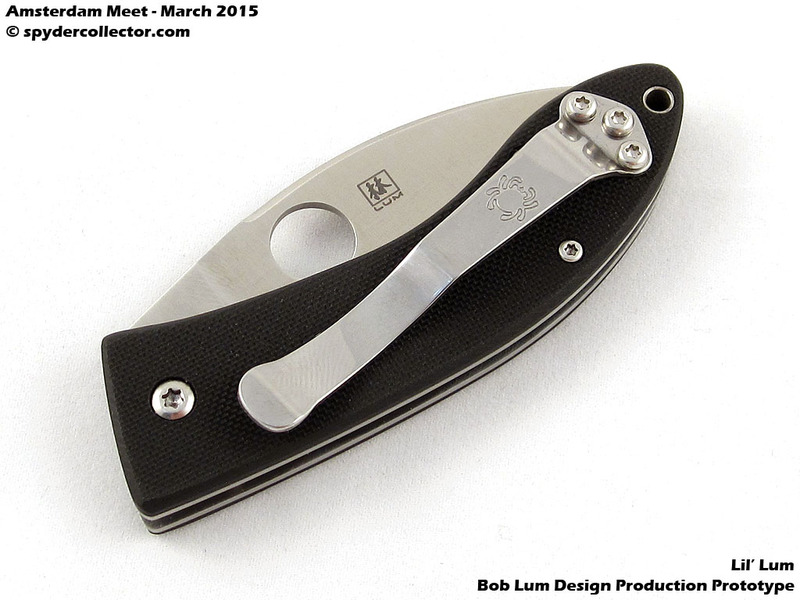 I am a Lum Chinese Folder addict, so the new Lil’ Lum will definitely go on my wish list. 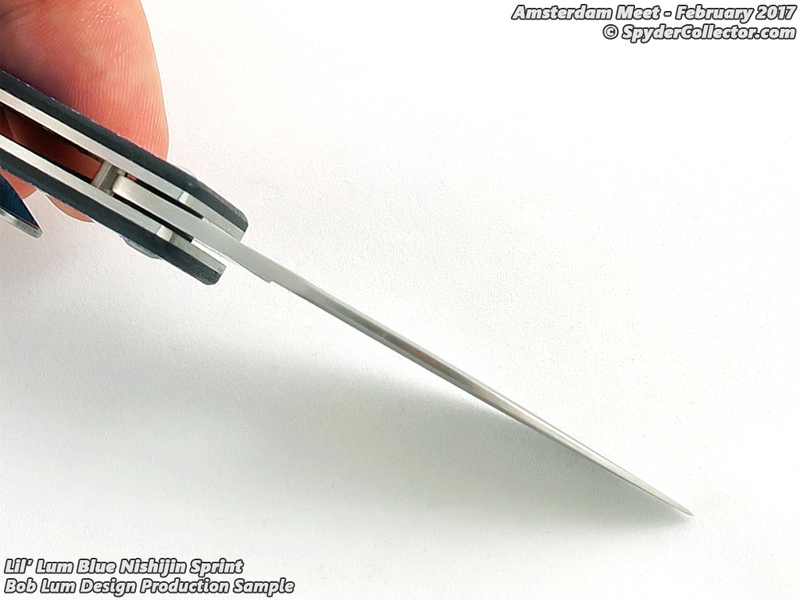 It is a very small folder, but even with its right-handed clip (I’m a lefty) I could easily manipulate it. 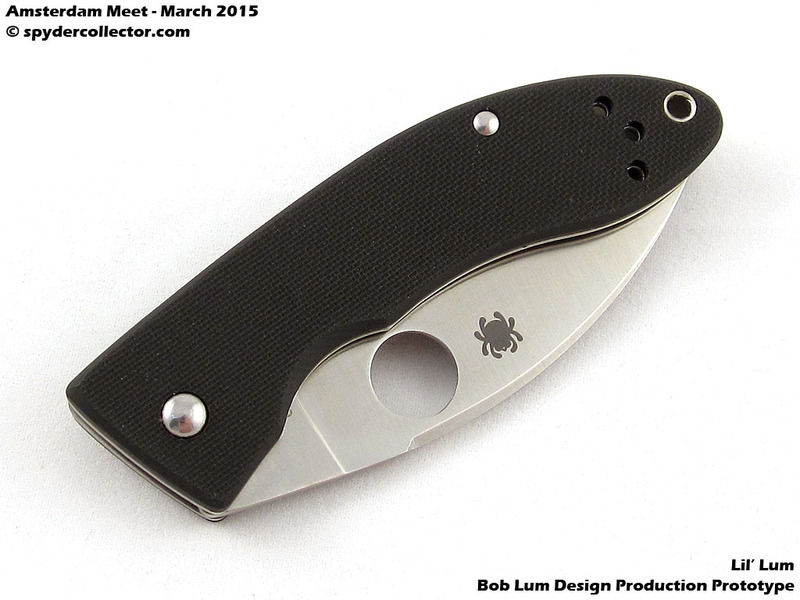 The Lil’ Lum does have a much curvier edge than its medium- and large-sized brethren in the Spyderco line-up. 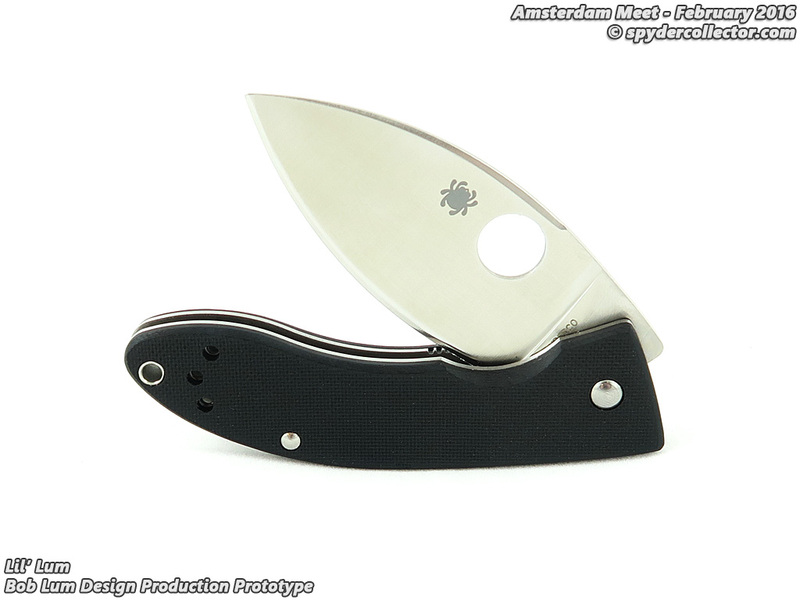 I do think the black G-10 is a bit too basic for an elegant folder like this. 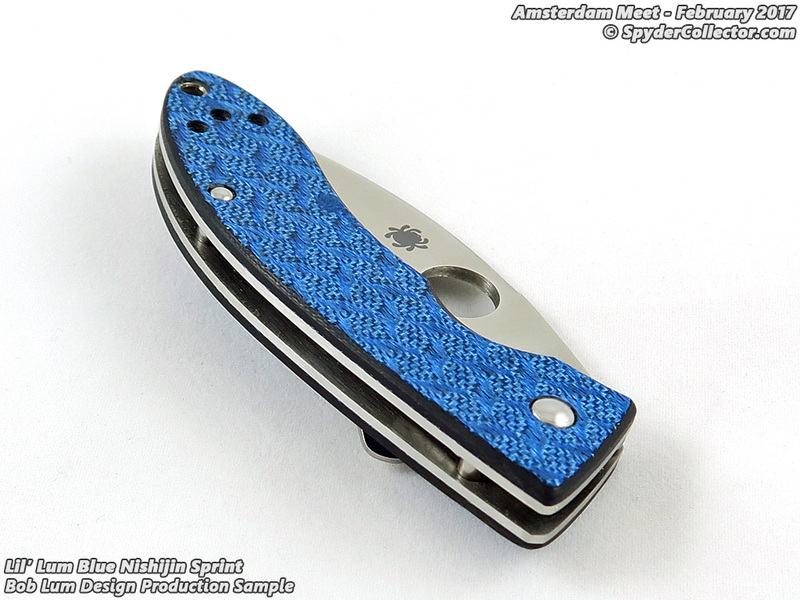 I hope this one does well for Spyderco, hopefully well enough to warrant a run in a more interesting handle color. 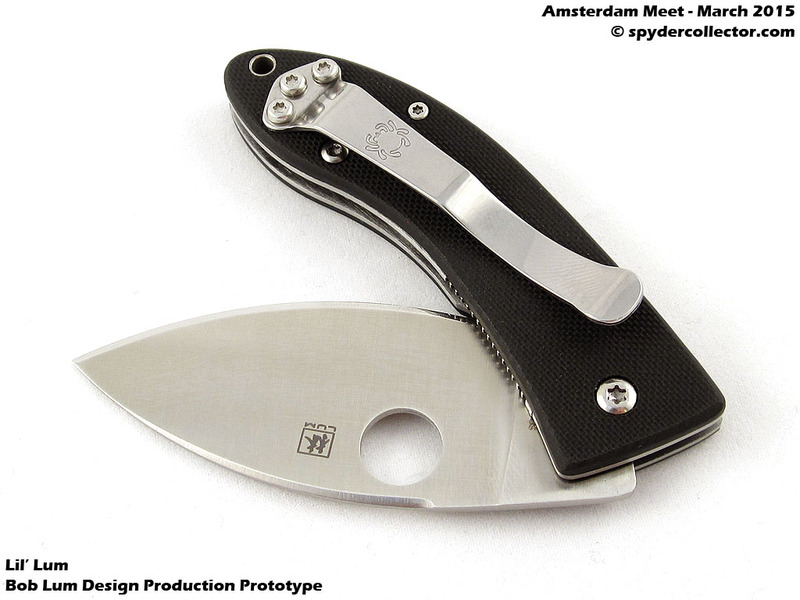 I am a big fan of the Chinese Folder design by Bob Lum and Spyderco. I have all the variations I want – which is pretty much all of them, except two (the black blade Moteng exclusive and the infamous cranberry version). 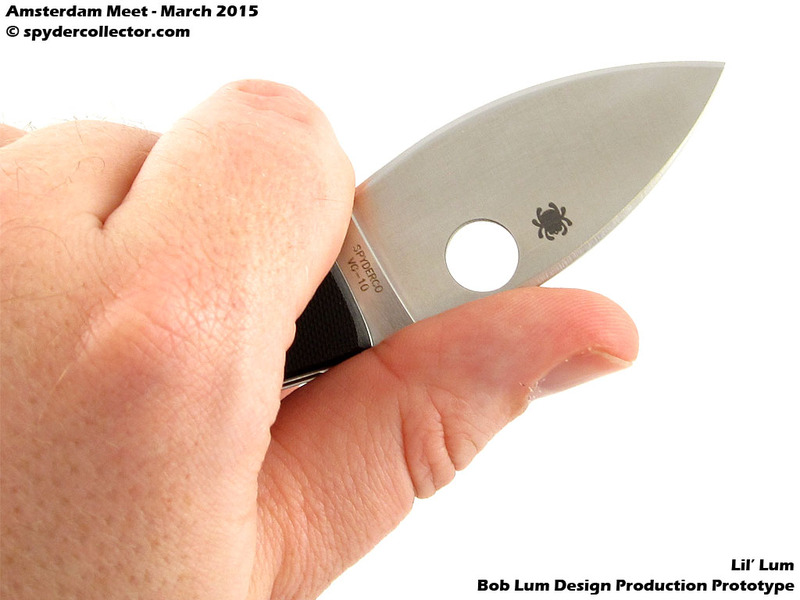 So I am positive I will add this smaller Lum Chinese Folder to my collection. 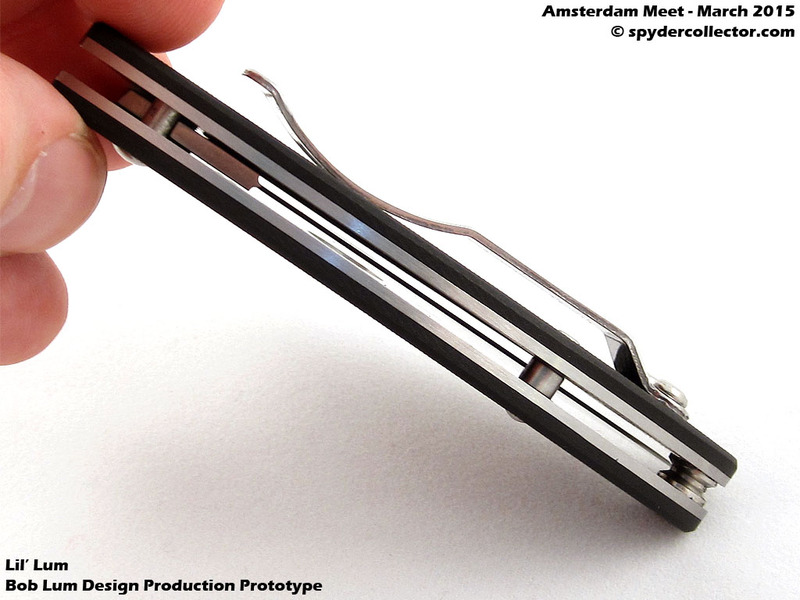 According to Eric, the clip on this prototype is too long and a new clip will be made for the production version. 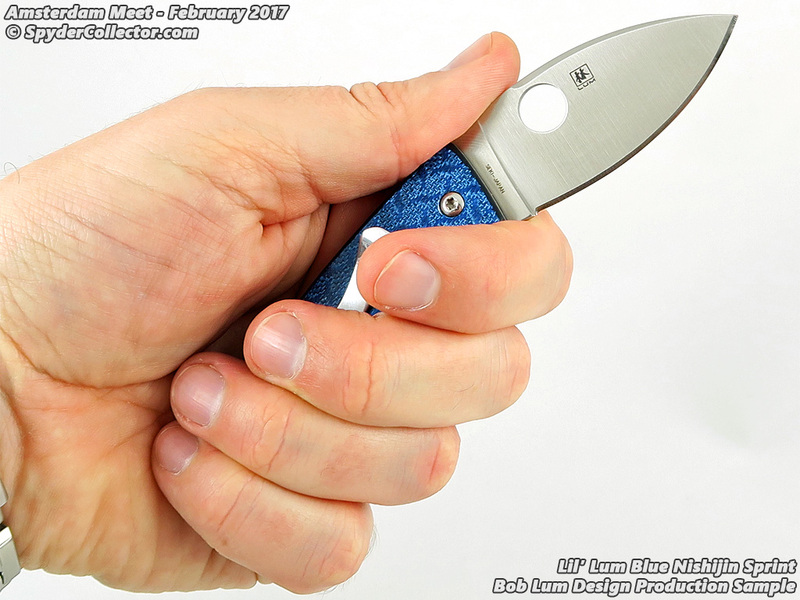 Apart from its size, the Lil’ Lum has another difference compared to the regular (medium and large) Chinese Folder designs. 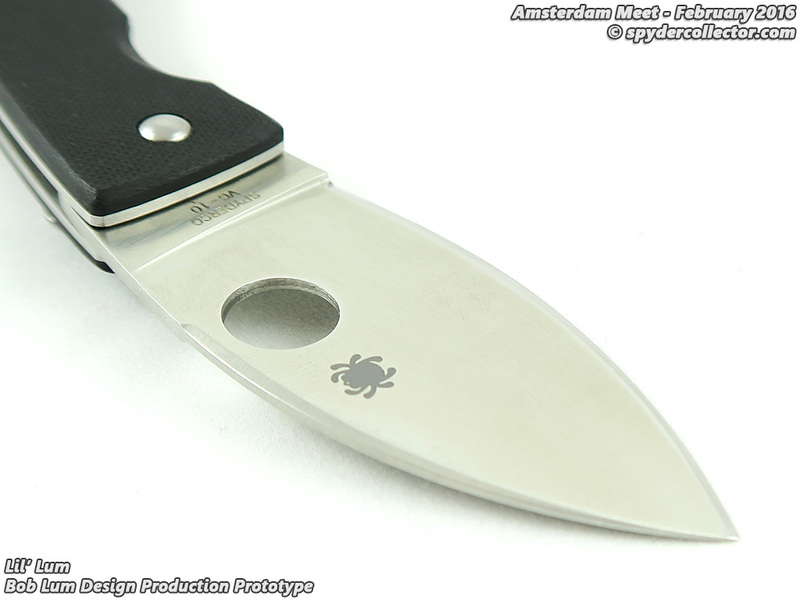 The smaller blade is a bit curvier in the edge than the other designs that feature more of a straight edge. 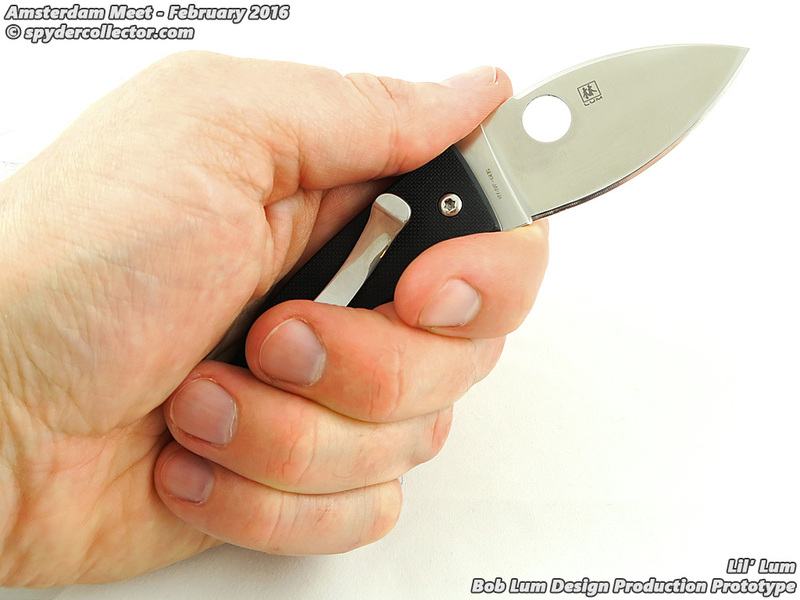 This smaller blade is almost like a spearpoint design. 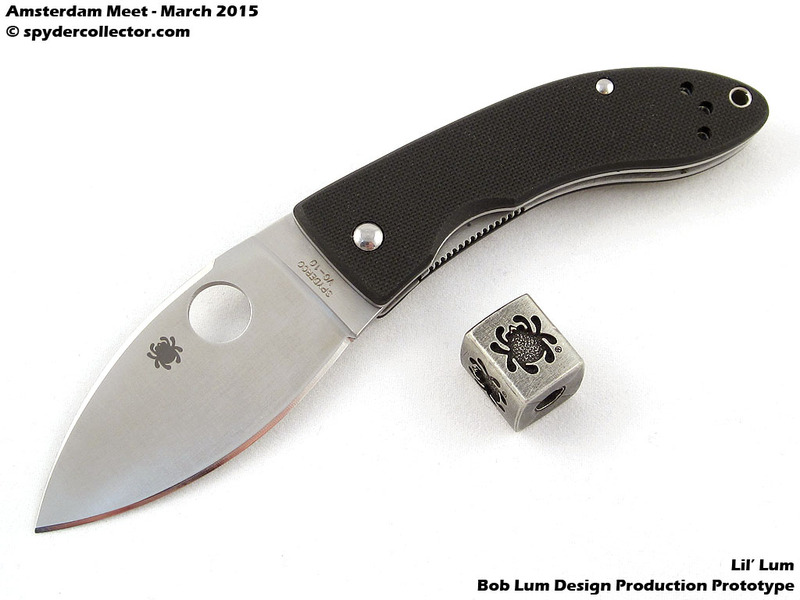 The Lil’ Lum also features skeletonized liners and will be made in Japan. I’m sure this small classy utility folder will see plenty of pocket time, and not just collect dust in my display cabinet. 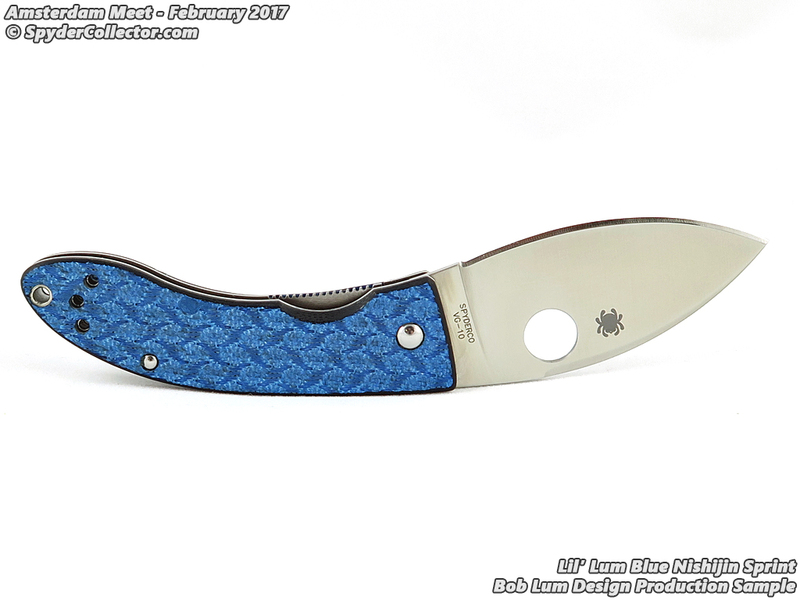 This is why I LOVE Spyderco sprint runs. 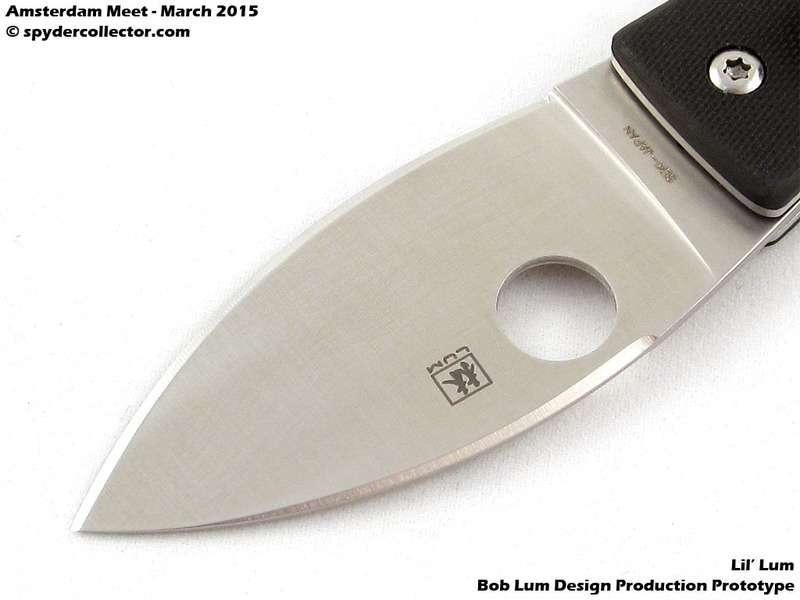 I never got around to snagging the Bob Lum designed fixed blade Tanto when Spyderco produced it many years ago. 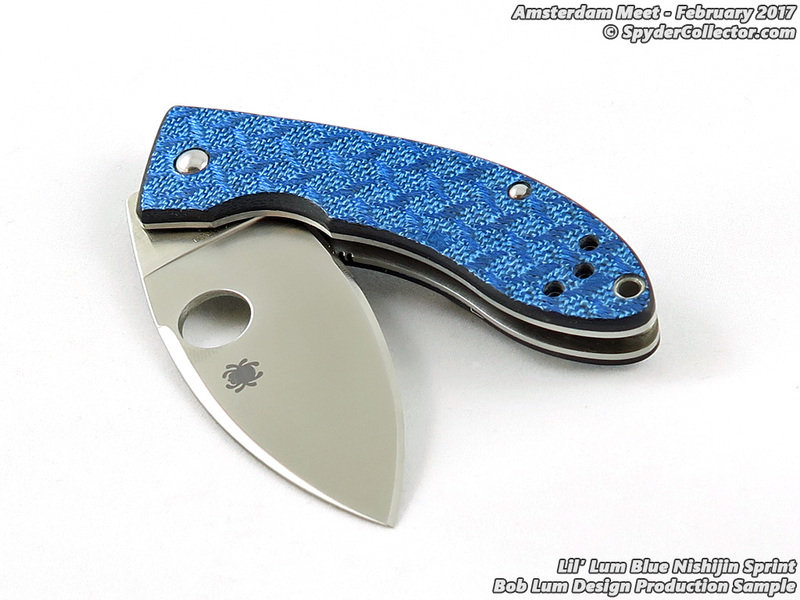 As is so often the case, I only discovered the beauty of this blade when I couldn’t get one. 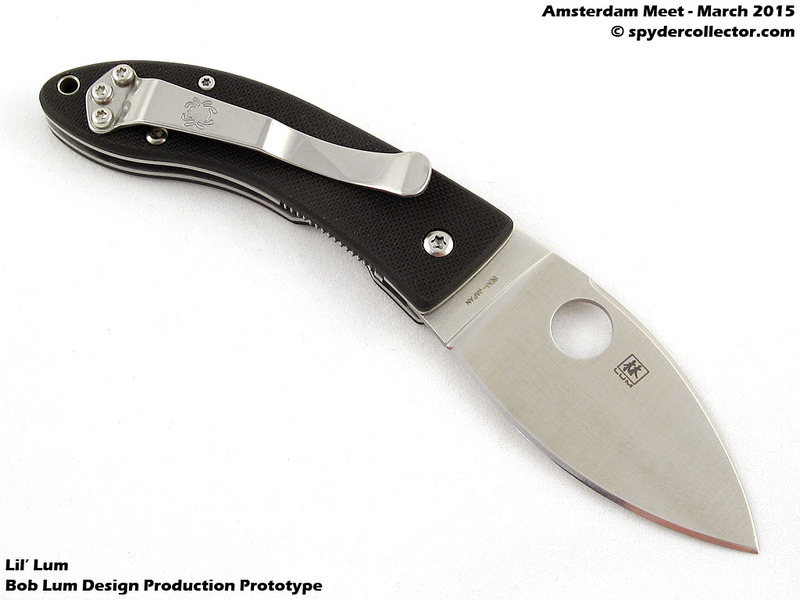 So when I saw the prototype for this knife laying on the table at the Amsterdam Meet, I certainly took note. A year or so later and I managed to score one. I’m very happy with this sprint run version. 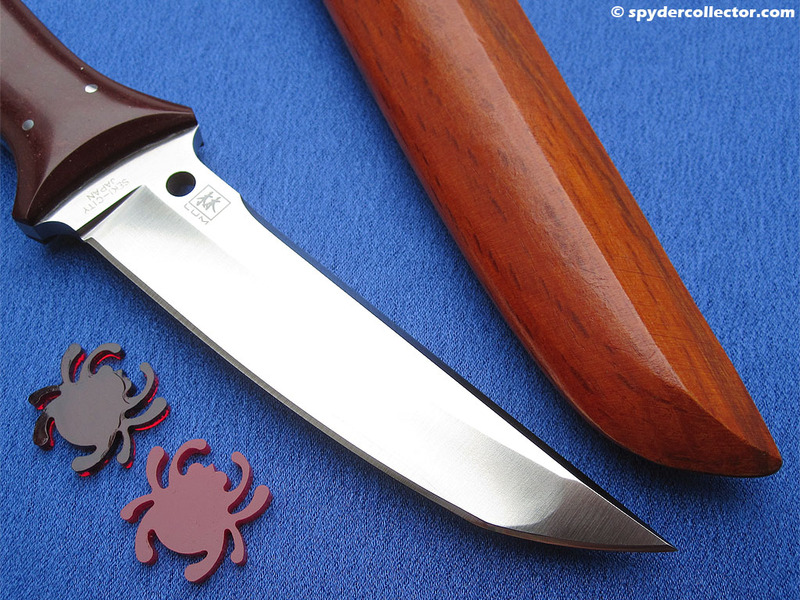 To me, the burgundy paperstone handle is way prettier than the original black micarta. 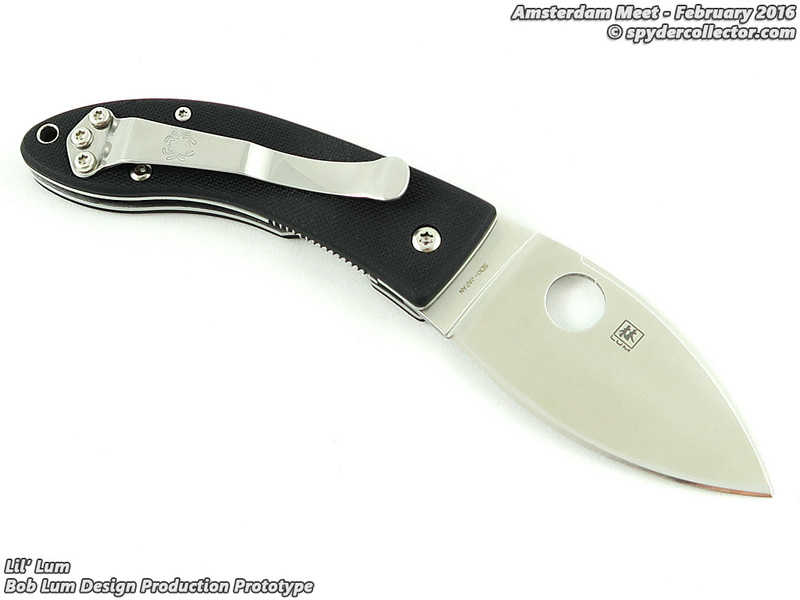 I will admit that this design isn’t the most practical for my uses, so the Tanto won’t see any real use with me. 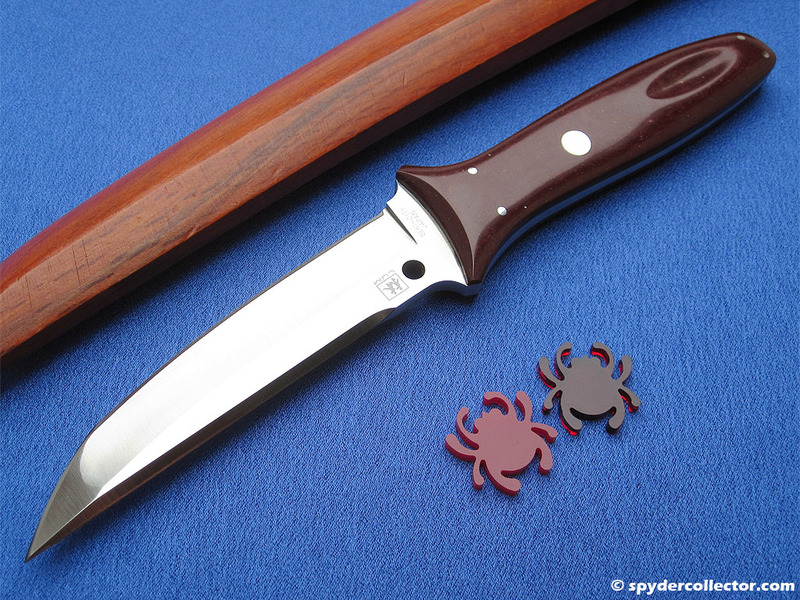 However, if I were still involved in traditional Japanese martial arts, I would have taken this knife along for demonstrations and such. 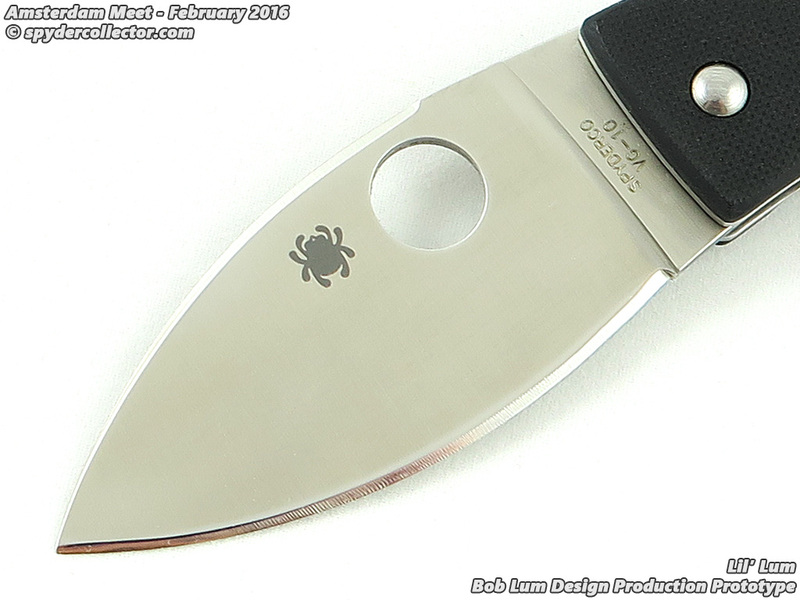 For a collector, sometimes using is not needed to appreciate a knife. 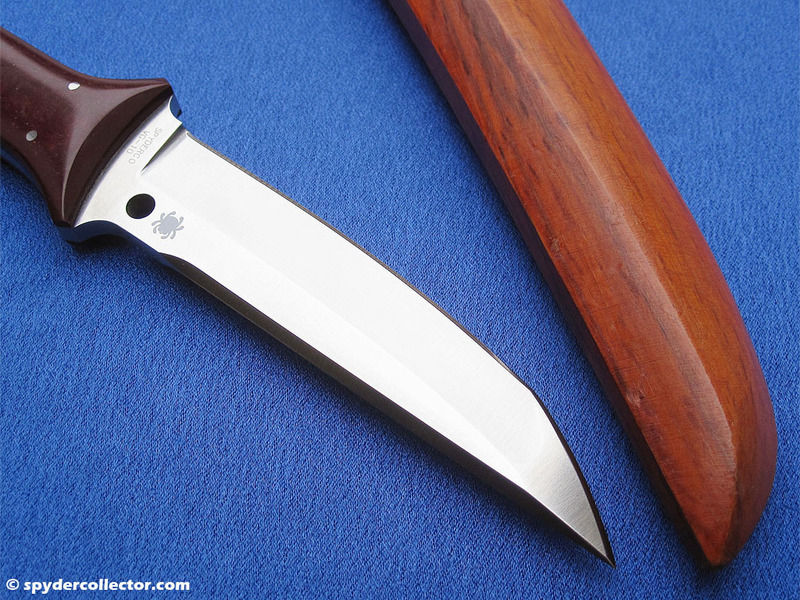 The Lum Tanto’s grind lines are very nice and it’s a stunning piece to look at. 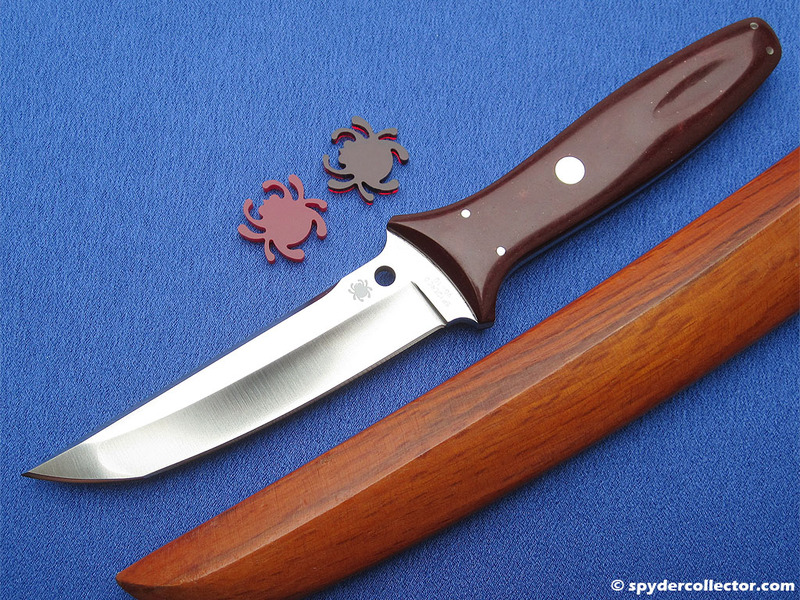 The workmanship is certainly top notch; from the polish of the blade all the way to the stitching in the sheath. 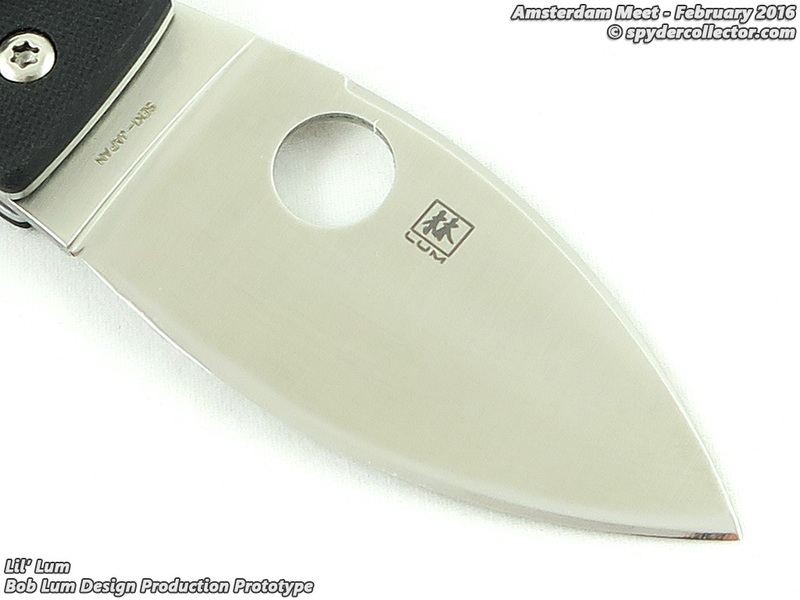 This knife is one of the highlights of my display case, and sometimes that’s more than enough. Well, that and the hunt for the next knife! 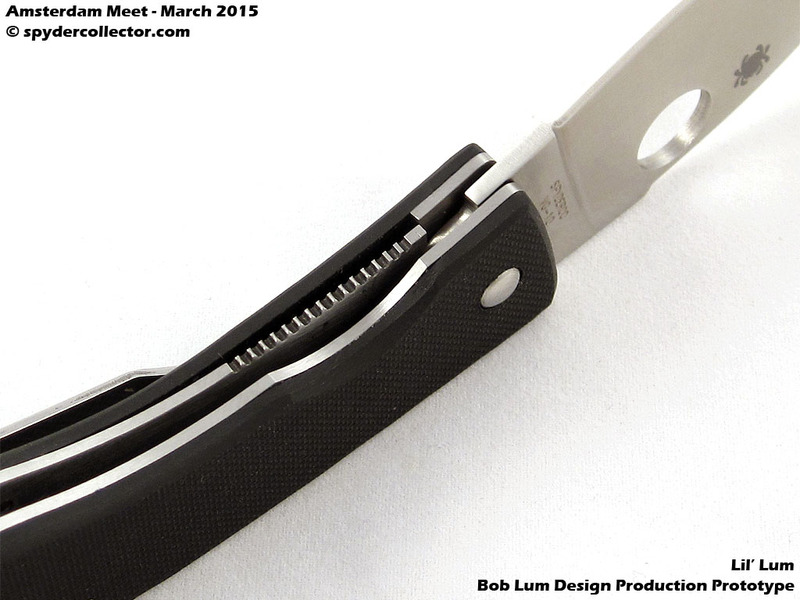 Eric Glesser goes over some of the features of two new Production Prototypes, the Bob Lum Chinese Folder Extra Large, and the Carbon Fiber Chinese Folder.